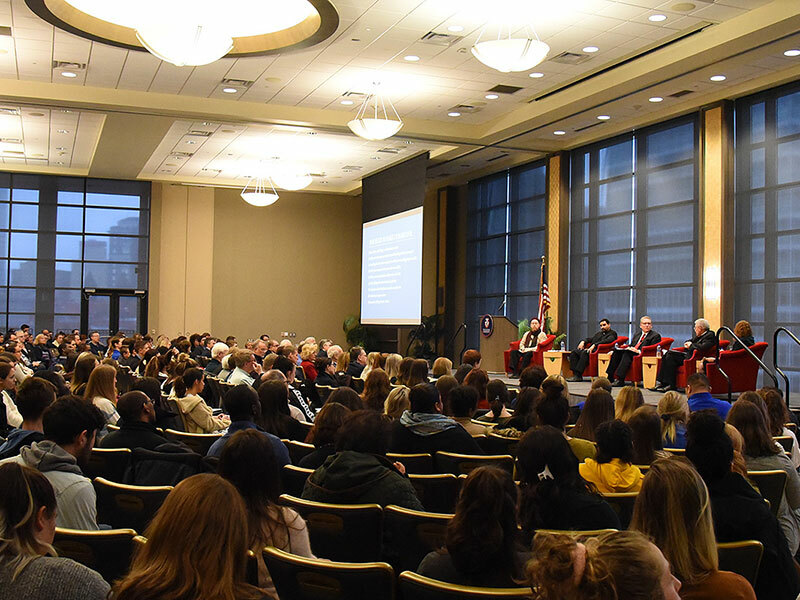 More than 300 faculty, staff and students packed the Power Center Ballroom on Feb. 12 to hear leaders of various faiths speak at Civil Discourse, Faith and Community in a Changing Society. The event is part of the Civil Discourse series created by University President Ken Gormley that explores the importance of respectful debate on challenging topics. In his opening remarks, Gormley noted the importance of faith and community in creating a culture of civility. 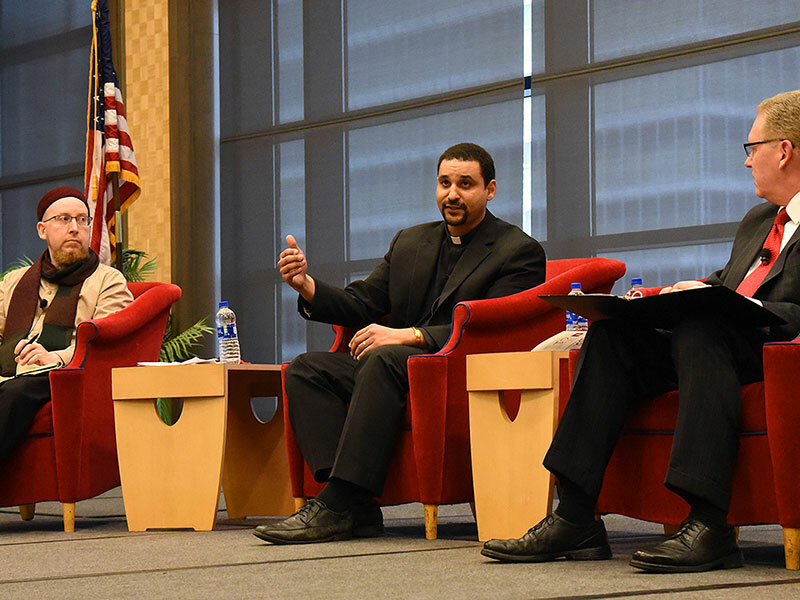 The event panelists, who represent a variety of religions, shared their experiences in promoting healthy dialogue among their congregations and in the community at large. 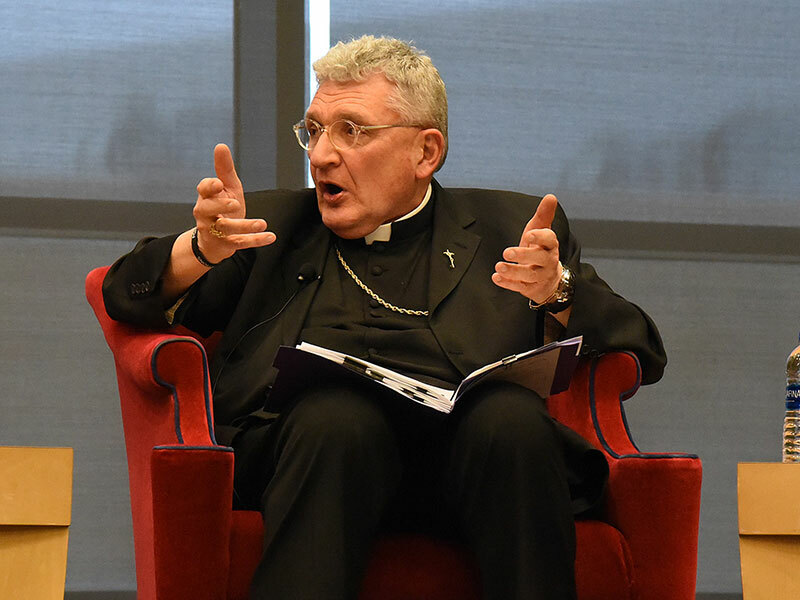 Pittsburgh bishop the Most Rev. David A. Zubik, D.D., talked about Nine Rules to Make Us More Civil, an article that he wrote that was published in the Pittsburgh Post-Gazette and America magazine. The article addresses the importance of actively listening and respecting people with differing opinions. 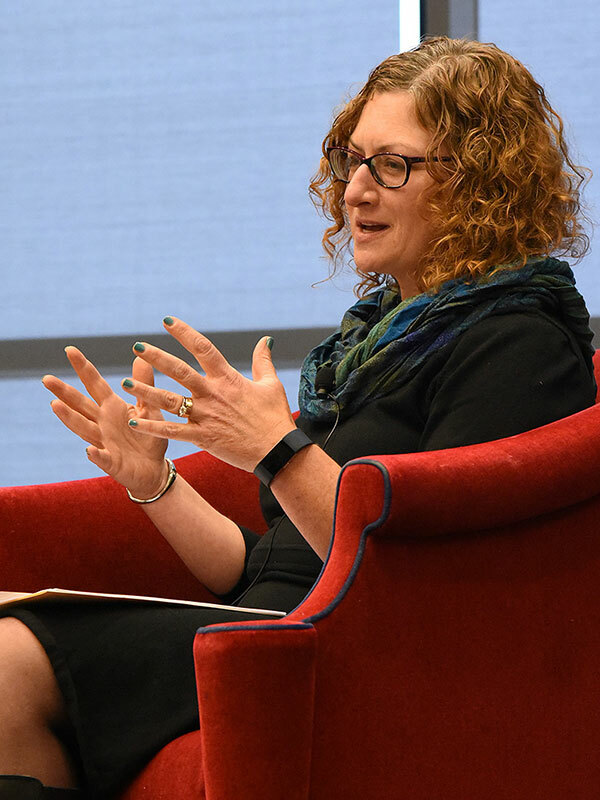 In addition to Zubik, panelists included Rabbi Jessica E. Locketz, rabbi and director of education at Temple Emanuel; the Rev. 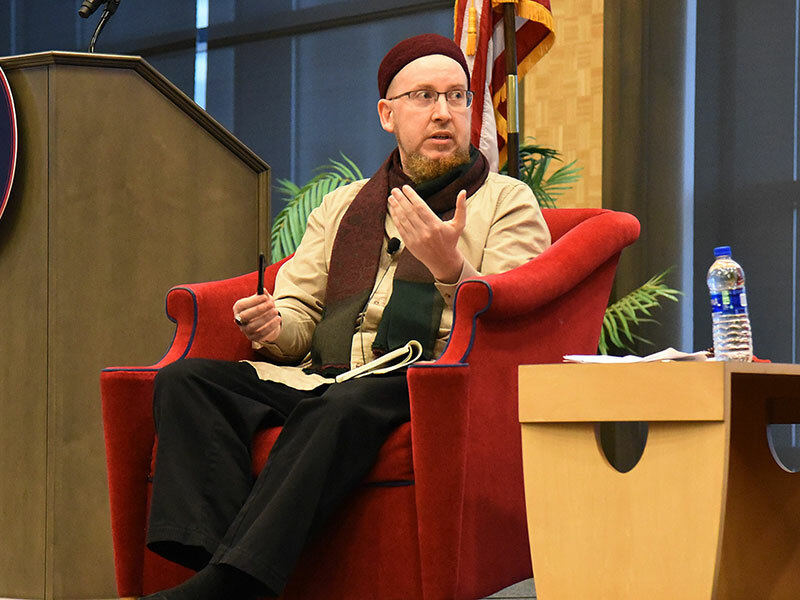 Paul Abernathy, director of FOCUS Pittsburgh; and Imam Abdul Aziz Suraqah, imam and religious director of the Muslim Community Center of Greater Pittsburgh. The discussion was moderated by WTAE-TV news anchor Mike Clark, who also serves as an adjunct professor of journalism at Duquesne. 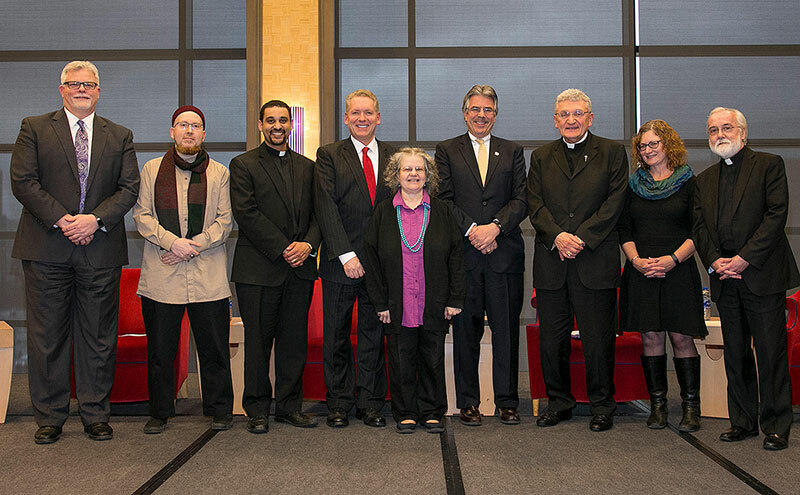 Civil Discourse, Faith and Community in a Changing Society was sponsored by the Office of the President and presented in partnership with the Division of Mission & Identity and the Division of Student Life.